TNGURU: SSC Notice - Important instructions to candidates for the examination conducting by the Commission in the month of july 2017. 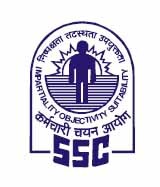 SSC Notice - Important instructions to candidates for the examination conducting by the Commission in the month of july 2017. SSC Notice - Important instructions to candidates for the examination conducting by the Commission in the month of july 2017. Check below for more details. Sub-Inspectors in Delhi Police, CAPFs and Assistant Sub-Inspectors in CISF Examination (Paper-I) 2017 – from 1st July, 2017 to 7th July, 2017. Combined Higher Secondary Level Examination, 2016 (Tier-II) on 9th July, 2017. Selection Posts Examination, 2017 (Graduation Level) on 16th July, 2017. Junior Engineer Examination, 2016 (Paper-II) on 30th July, 2017. Lower Division Grade Limited Departmental Competitive Examination, 2017 on 30th July, 2017. Steno Grade ‘C’ Limited Departmental Competitive Examination, 2017 on 30th July, 2017.